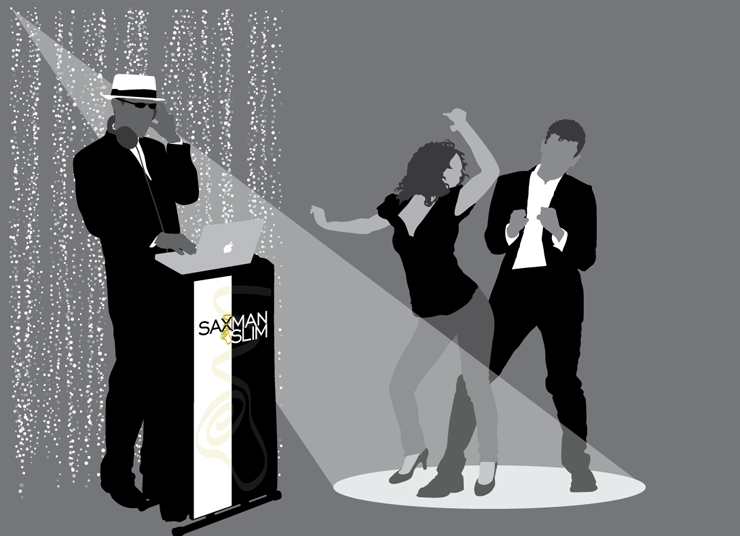 After your featured dances, Saxman Slim will invite all guests to the dance floor to wildly express the joy of this happy occasion. To represent all ages and tastes, a wide variety of genres will keep the dance mix fresh. Usually, a chronological play list works well. Older songs at the beginning give all generations a chance to participate. Eventually, youthful energy triumphs on the dance floor, requiring more contemporary cuts. But every reception is different, so a meeting will be scheduled with the bride and groom several weeks before the event to discuss all the details including song requests.